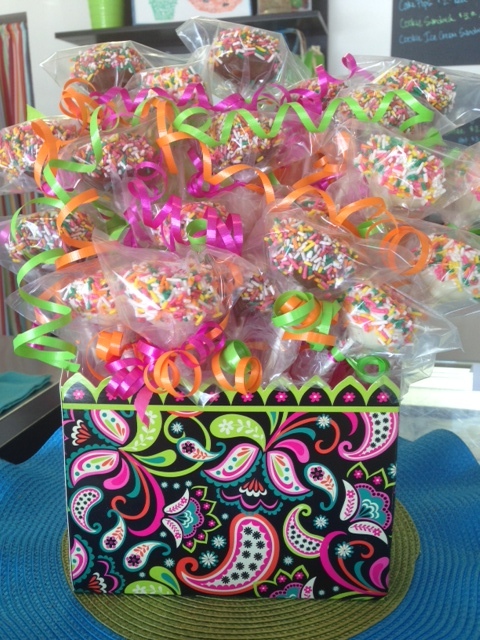 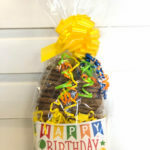 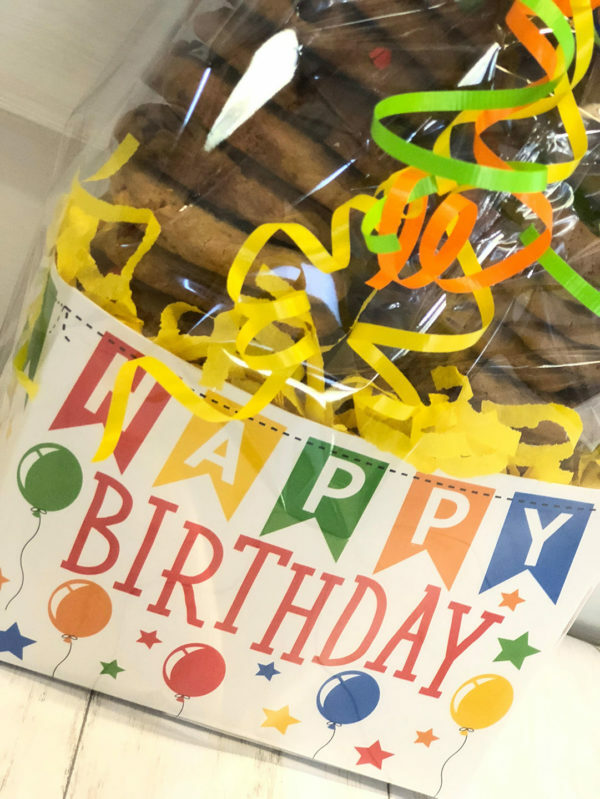 A delicious way to send happy birthday wishes, this designed paperboard box is full of yummy treats!! 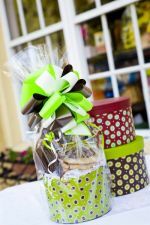 You can send up to two dozen cookies in these boxes!! 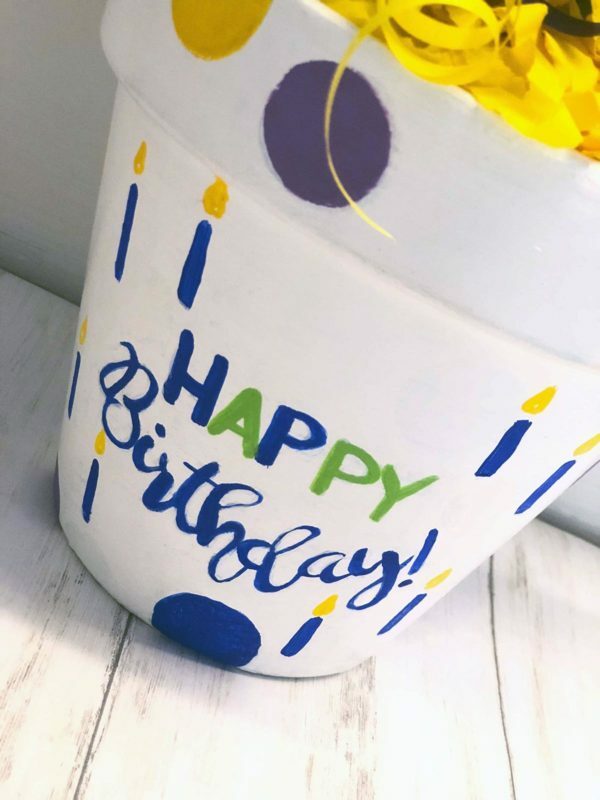 Design may vary due to market availability. 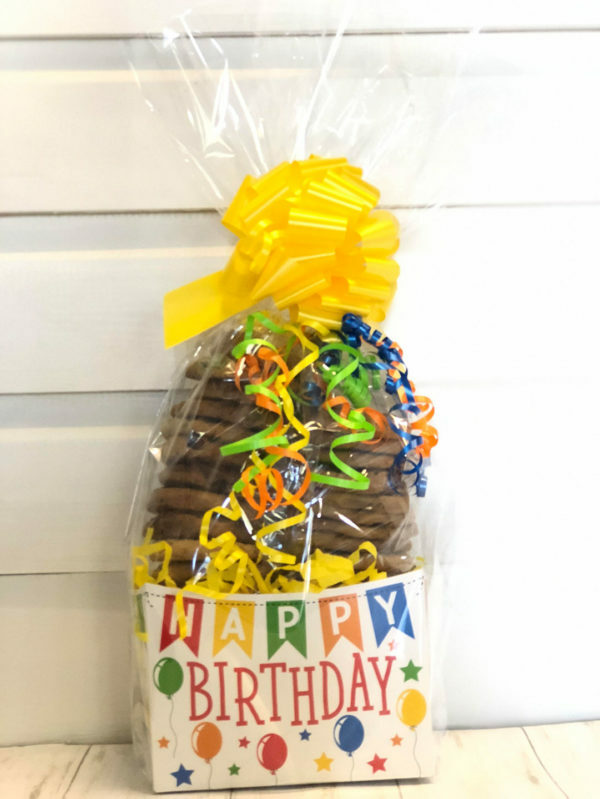 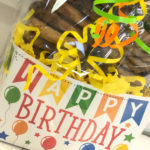 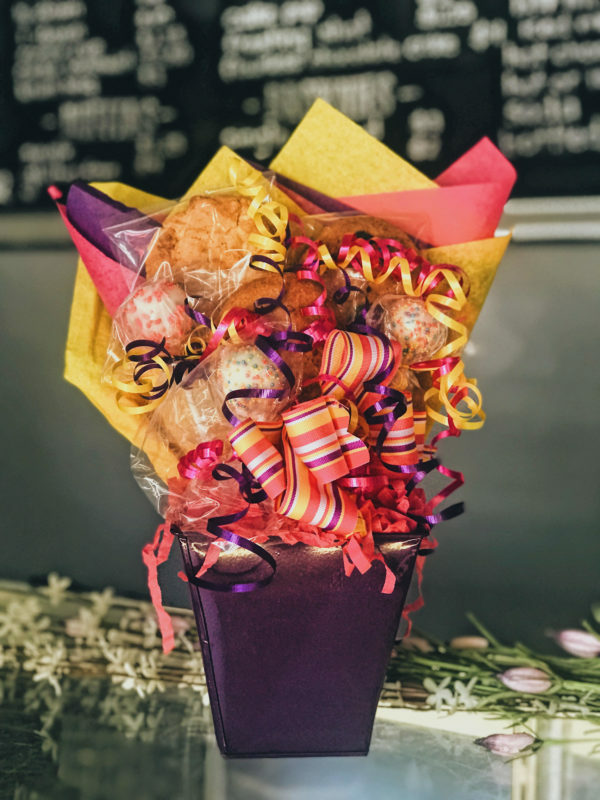 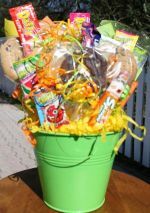 This particular arrangement is designed with the cookies wrapped in cellophane and placed in the decorated box, then finished off with the entire arrangement being wrapped in cellophane and tied with a coordinating bow. 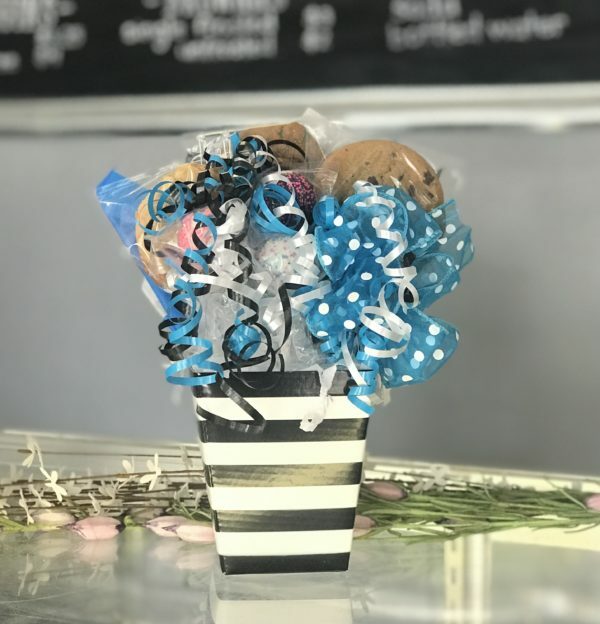 Please see our bouquet options available as well!